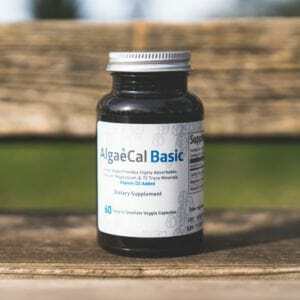 Who should supplement with AlgaeCal Basic? 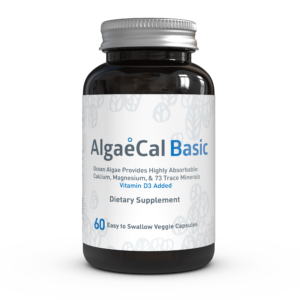 AlgaeCal Basic All natural, easy to digest & derived from plants - not rocks. Maintain your current bone density! 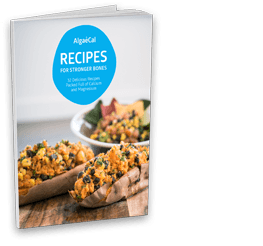 Plant-based calcium and ALL 12 other essential bone supporting minerals sourced from algae! 1000 IU of vitamin D3 for optimal bone support! How Much Calcium Do You Really Need Each Day? The daily target is 1200 mg per day of calcium intake from food and supplements for low bone density. An average person who consumes dairy products gets 500 – 700 mg of calcium from their daily diet, so you would need to supplement 500 – 700 mg of calcium. 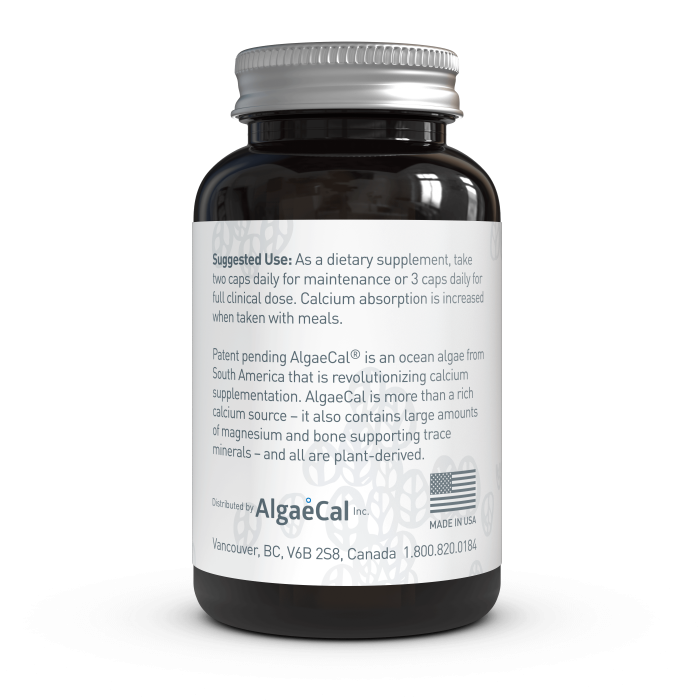 Each AlgaeCal Plant Calcium capsule contains 250 mg of calcium. 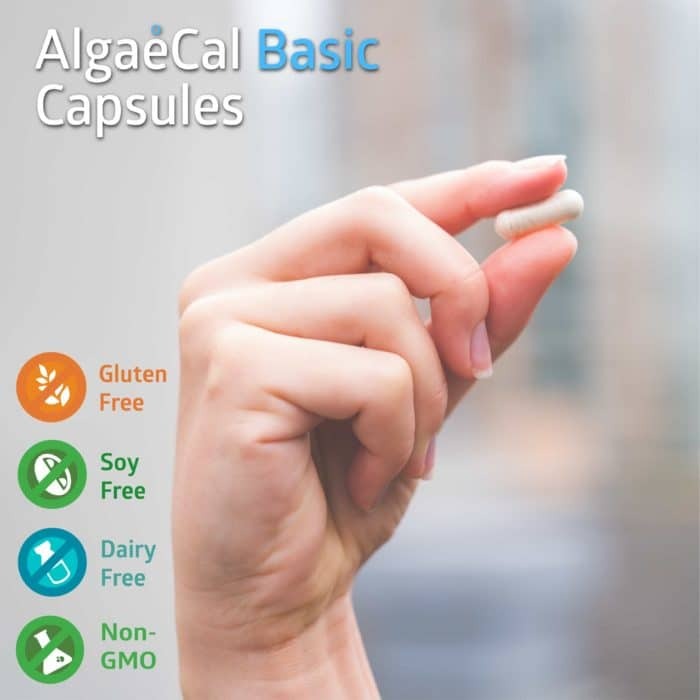 So 2 to 3 capsules of AlgaeCal Basic = 500 to 750 mg calcium. The clinical studies resulting in modest bone density increases were based on participants taking 3 capsules per day. 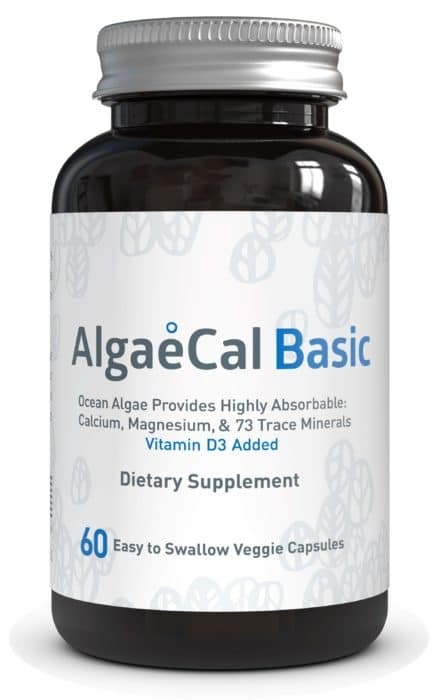 AlgaeCal marine algae supplies all 13 essential bone supporting minerals; calcium, magnesium, boron, copper, manganese, silicon, nickel, selenium, strontium, phosphorus, potassium, vanadium, and zinc. 1000 IU of vitamin D3 has been added to the algae powder to make AlgaeCal Basic an excellent bone maintenance support supplement. Lithothamnion superpositum (or Algas Calcareas as the locals call it). The entire kiwi-fruit size algae ball is hand harvested, sun dried, then milled into a powder. There is no extraction process or additives used – just pure whole food. 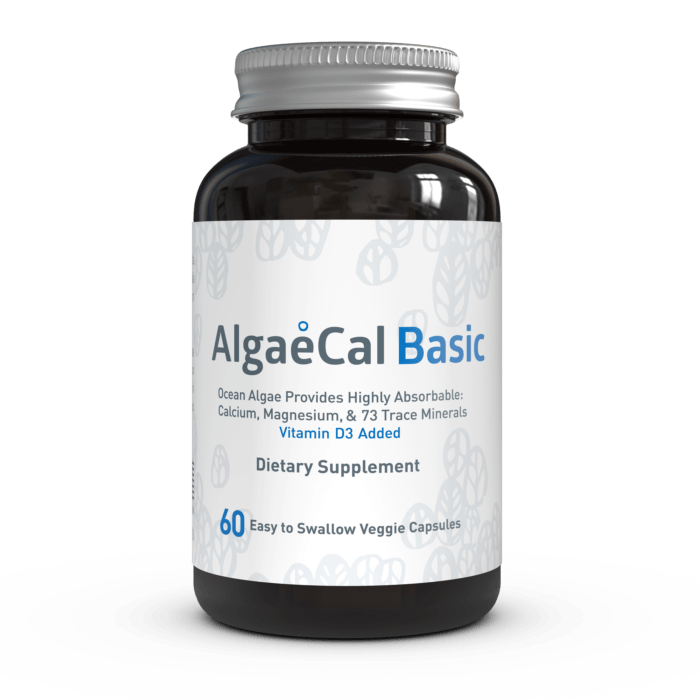 The AlgaeCal plant draws calcium and the 12 other essential bone supporting minerals from seawater and pre-digests them for you, much like a carrot or potato root breaks down the in-edible rock minerals in soil converting them into a useable form your body recognizes as food. 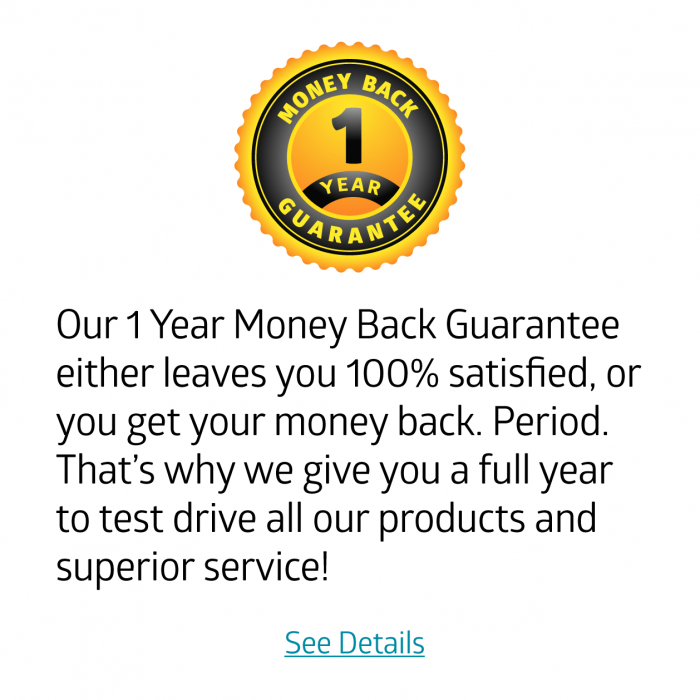 Most traditional calcium supplements are made from pulverized limestone or marble. AlgaeCal plant-digested calcium is so body-friendly that it dissolves in 30 minutes using USP standard tests simulating stomach conditions30 minutes using USP standard tests simulating stomach conditions proving it is very bio-accessible. Did you know that clinical studies demonstrate trace minerals are important for bone growth in addition to calcium and magnesium? 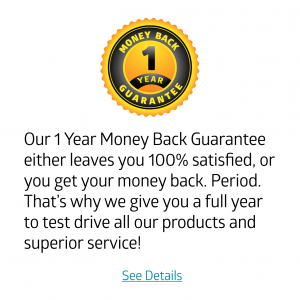 Patent pending AlgaeCal is more than a plant-source, whole-food calcium supplement. 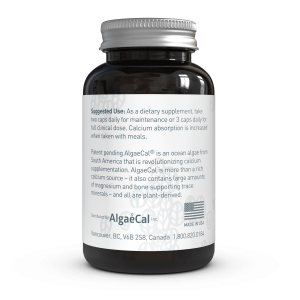 AlgaeCal also contains high levels of natural magnesium, plus trace minerals, and phytonutrients. 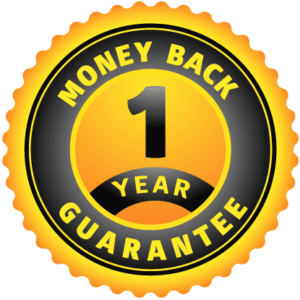 You get a full spectrum of minerals and plant nutrients working for you instead of one or two elements like most calcium supplements provide. AlgaeCal Plant Calcium has 1000 IU per day of vitamin D3 added. 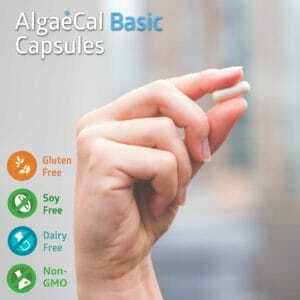 AlgaeCal Basic contains 60 capsules. If you are maintaining your current healthy bone density, 2 capsules per day may be sufficient, making this a one month supply. The clinical study showing a small increase in bone density at one year, was achieved with 3 capsules per day. Children and teenagers up to 18-years old. Adults taking older anticoagulants (blood thinners) who are unable to switch to a new type of blood thinner. For example, adults taking older blood thinners (who cannot switch to new blood thinners like XA inhibitors and Direct Thrombin inhibitors) should take a clinical dose of AlgaeCal Basic each day to support their bone density. If you don’t fall into either category, you’ll see best results for your bone density with AlgaeCal Plus. Take AlgaeCal Basic with your meals to optimize absorption. Take 3 capsules daily, 1 capsule with each meal. If you are maintaining your current healthy bone density, 2 capsules per day may be sufficient. This drug interaction information is just a brief overview. Always check with your doctor for details about possible interactions between AlgaeCal products and your medications. In some cases, calcium reduces the effectiveness or required dose for certain medications. Often the solution is to take calcium and the medication at a different time of the day. Your doctor should be consulted if you have any questions whatsoever.